GlobeRiders® - Your Motorcycle Adventure Touring Company - Come Ride the World with Us! Come Ride the World with Us . . . .
GlobeRiders Silk Road Adventure 2019 will be the 5th iteration of this ride through Eurasia, Central Asia and China. Come join us for this incredible ride of a lifetime. The journey will take us some 13,000 km through: Turkey, Georgia, Armenia, Iran, Azerbaijan, Turkmenistan, Uzbekistan, Tajikistan, Kyrgystan and China. To learn more about this our next big adventure click here. 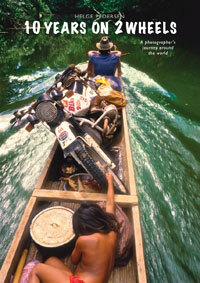 The unparalleled experience of traveling the world by motorcycle is perhaps one of the world's Last Great Adventures. Freed from the confines of a car or bus, you're totally immersed in the sights, sounds and smells of ever-changing vistas. GlobeRiders is uniquely experienced in conducting supported adventure tours through some of the most rarely-visited and exotic destinations on the planet. In addition to the basic services you would expect from any qualified touring company, we'll ship your motorcycle so that you can ride on your own machine. We'll instruct and coach you in the navigation and maintenance skills to insure that you journey with confidence. We'll not only show you the greatest rides, our local guides and drivers will also inform and educate you about the history and cultures of the many new friends you'll make along the way. For those who aren't able to journey with us just yet, we have a growing catalog of adventure touring and instructional DVD's so that you can both experience what it's like to ride with us, and also properly equip your bike and yourself for the journey ahead. Finally, we capture the daily experiences of riders on tour via our Live!Journals - a web-log of stories and photo galleries created while each adventure is underway. If you're not yet ready for the real thing, you are invited to take these "virtual" tours with us. There's a wealth of information and entertainment on our website. We encourage you to explore our world. Should you have any questions, we invite you to contact us - we're passionate about what we do, and would be honored to share what we've experienced and learned with you. PS - If you ever get "lost" navigating our website, clicking our logo in the northwest corner of every web-page will bring you "home", and remember that your "Backspace" key will usually take you to wherever you just were. Helge established his credentials as a world traveler, photographer, journalist and with the publication of 10 Years on Two Wheels, a lovingly crafted photo-essay of his globe-spanning travels. You can view excerpts of his experiences and thumbnails of the full-color images from the book by clicking here.